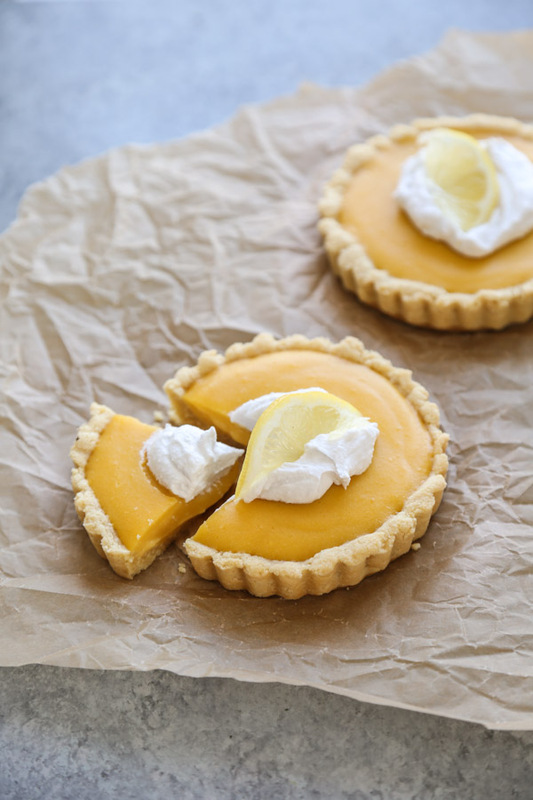 This healthy lemon tart recipe is brought to you by my friends at Bob’s Red Mill. Thank you for supporting the brands that make this site (and my gluten-free, paleo baking) possible! For more delicious healthy recipes, coupons and stores near you visit BobsRedMill.com. These virtual homes grow up so fast, and like the people behind them, are always changing directions in new and surprising ways. I have so many ideas of where I want to go with this site and the ways I want to feed you. I’ve been doing a lot of reflecting this week down in South Carolina on the time that’s passed since I bought this url. I reread my welcome post, my first birthday entry from six April’s ago, and a manifesto from year two on why I love to cook, which was the first post where I really felt like I properly articulated my food philosophy. 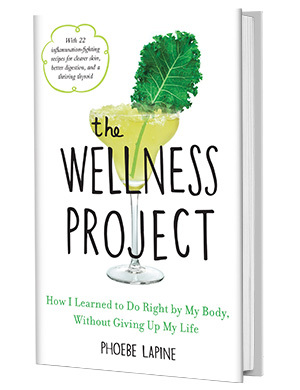 Of course, that philosophy has morphed even further over the years to involve health hedonism–how I do right by my body without giving up my life–and all the ways I seek balance beyond what’s on my plate. My friend Elle Luna wrote an amazing book called the Crossroads of Should and Must. In it she talks about how she transitioned from life as a tech superstar to a solitary painter. I love Elle’s description of Must as “our instincts, cravings and longings, the things and places and ideas we burn for, the intuition that swells up from somewhere deep inside of us.” Whereas Should is dictated by the expectations of others, Must is what we do when we are alone with our most authentic self. And sometimes in order to find clarity on our Must, we have to be willing to regress to a more childlike place. She talks a lot about finding a “sandbox” – a safe place to experiment and get messy. In many ways, this site has been my sandbox for the last 7 years. And I’m so grateful for your willingness to let me write and cook at you, and occasionally end up with sriracha mayo all over my face. When I first started Feed Me Phoebe, I was recovering from two break-ups, and my heart looked something like a cross between a block of Swiss cheese and a pile of cauli mash. Even though I knew in my gut who I was and what kind of cooking I stood for, it was hard to articulate it with my soul being in such bad shape. So I kept writing from some place between my gut and my heart (my liver? Nah, too much bile) and cooking for my own comforts. In the process, I went from being a quarter-life cook to a healthy hedonist — from tiptoeing around my autoimmune disease to being an evangelist of the healthy comfort food that helped me heal my body in the face of Hashimoto’s. It took a few years, but playing around in my kitchen sandbox in this way, made me realize how much health is part of my Must. 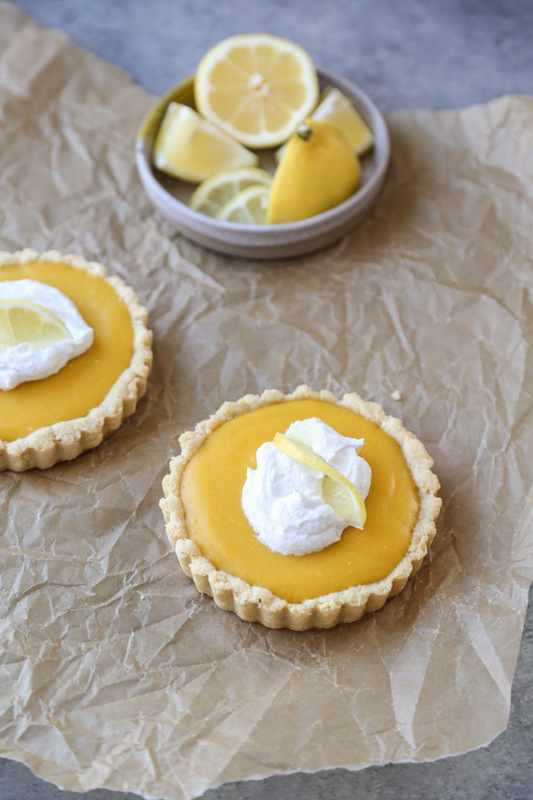 This healthy lemon tart was the first bite of sugar I had after my Vice Detox during my “year of health,” the experiment and blog series that eventually became my second book, The Wellness Project. It was also how I celebrated the birthday of this blog 5 years ago. Since I was in my terrible two’s back then, I thought it was worth a recipe revamp in mini tart pans with my favorite Bob’s Red Mill almond flour. The crust is gluten-free, dairy-free and Paleo–partially because it’s just three ingredients: finely ground almond meal, coconut oil, and an egg. My pantry is an absurd compilation of Bob’s Red Mill products, since they were one of the first companies to make all sorts of gluten-free and paleo flour options, and remain the best of the bunch to this day. 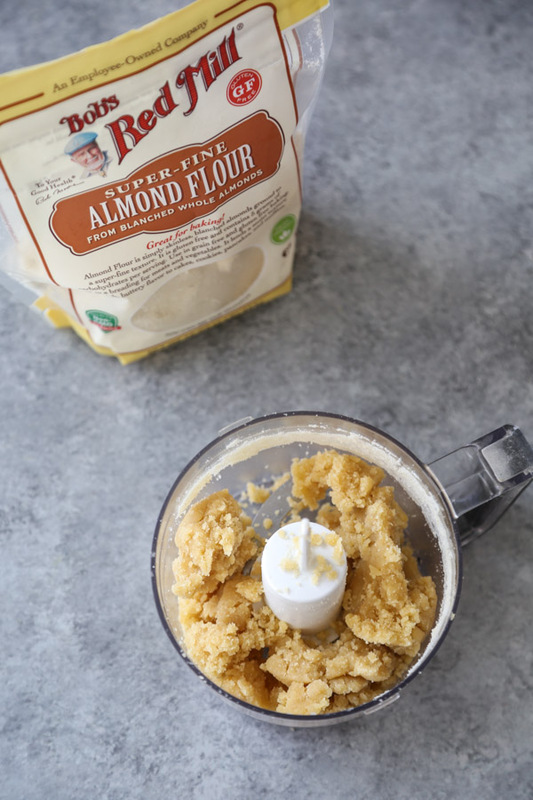 I love their super-fine almond flour for this recipe as it’s fluffy and quite flavorful. As for the curd: it’s made with coconut oil as well (instead of butter) and honey (instead of refined sugar), and even with just a modest amount of sweetness, it’s addictively good. This healthy lemon tart really represents the kind of balance I’ve been striving for on this site over the years. Recipes with just a few good quality ingredients. Dishes that feel like baby steps towards living a happier, healthier life without losing all the things (like dessert) that make living so fun. Because what good is a sandbox if you can’t play in it? Thank you for sticking with me through this journey. You feed me more than you could ever know. Now, read on for the healthy lemon tart recipe and brand new video of how to make it! 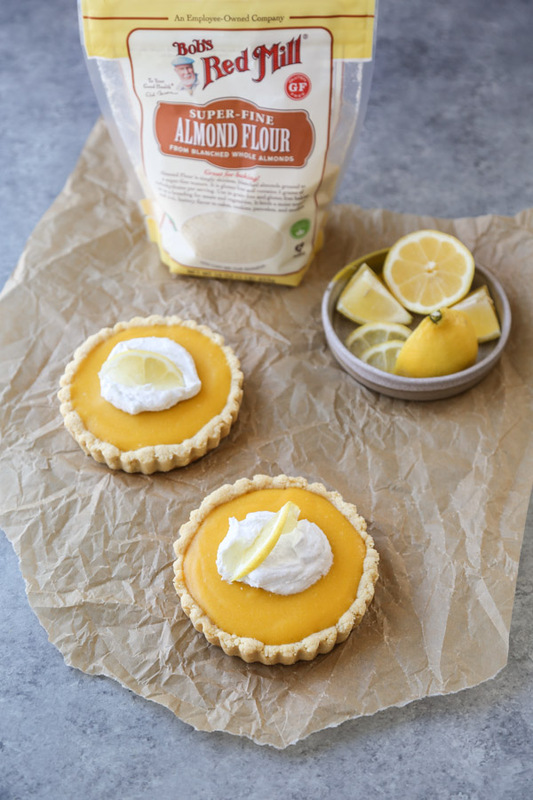 This healthy lemon tart recipe uses dairy-free lemon curd and a gluten-free almond crust. They taste like lemon bars - one of the best easy dessert recipes! The curd was inspired by Texanerin and the crust by Elana's Pantry. Preheat the oven to 350 degrees. Line the bottom of a 9-inch tart pan with parchment paper. Grease the sides with oil or butter. In a small food processor, pulse the almond flour and the salt until combined. Add the oil and egg and pulse a few more times until a dough forms. Warning: it will be very sticky. Transfer the dough to the center of the tart pan. Using a sheet of plastic wrap or greased palms, press the dough out into an even crust, coming just ¼ to ½ an inch up the sides. Bake in the oven for 8 to 10 minutes, until firm and beginning to brown. Remove and let cool. If the crust puffs, just use your fingers to gently press it back down as it cools. Alternatively, you can weight it by covering the crust with a piece of parchment paper and a layer of dried beans. 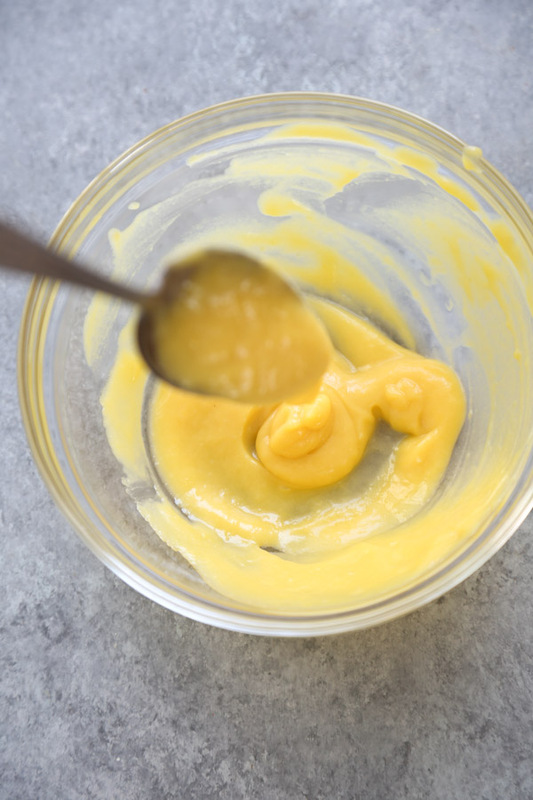 Meanwhile, make the curd: in a medium saucepan, whisk the eggs and honey until smooth. Set the pan over medium-low heat. Add the coconut oil. Cook, whisking occasionally, until the oil is melted, about 2 minutes. Add the lemon juice and zest and continue cooking, whisking gently, until the mixture begins to thicken, about 5 minutes. Remove from the heat immediately and continue whisking to avoid any clumps. Some people will strain the mixture at this point. But I’m too lazy. 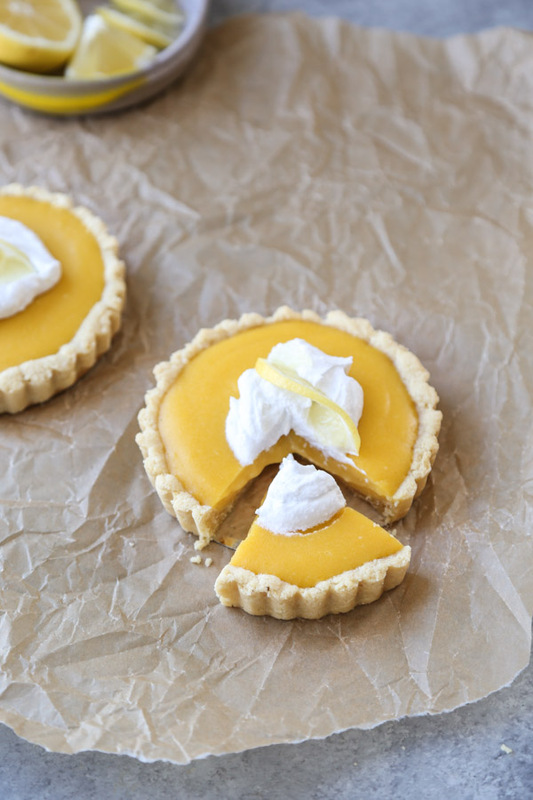 Transfer the curd to the cooked tart crust and smooth in an even layer with your spatula. Allow to cool so the filling sets and serve at room temperature. If you’re eating dairy, a little whipped cream can’t hurt. The love is mutual, Phoebe. Happy 2nd! Oh, Phoebe! How I enjoyed this post! So good. And thank YOU so much for sharing the crossroads link. I’m off to devour it. You’ve helped me so much discover my dreams and have the confidence to pursue them. Thank you so much! I wish you a lifetime of happiness and success. Thank you Leah for all your wonderful support! Thank you for this recipe 🙂 it sounds divine! Xoxo and that tart looks so yummy!! Thank you for the sweet note, Steph. You’re the best supporter a girl could ask for! 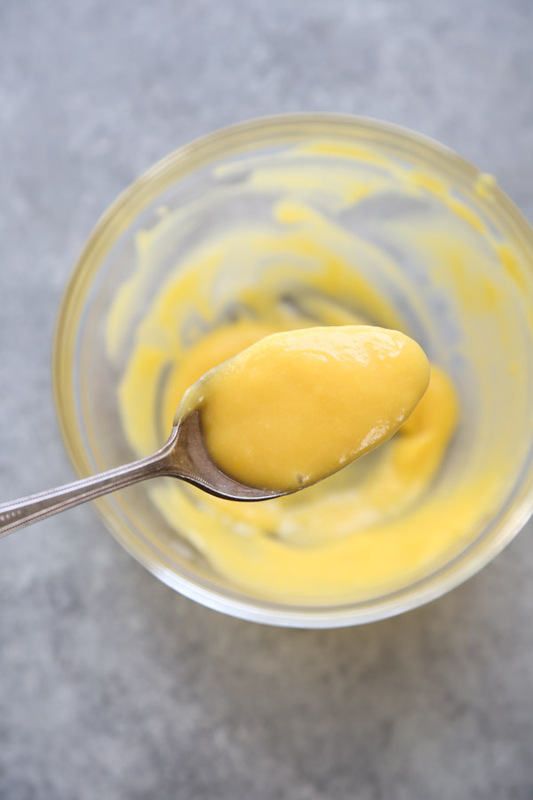 I have just stumbled across your site (in search of the answer to the age-old question, is gin gluten-free) and clicked on a delicious looking lemon curd dessert. My mouth is watering and you’ve hooked me! I just stumbled across your recipe in search of a healthy lemon tart, and this looks absolutely divine! I was wondering if you can sub anything else for coconut oil? But nonetheless I cant’ wait to make this! Hi Mariela! Thrilled you found me. I’ve never tried any other fat, but you can always sub butter 🙂 Won’t be as healthy, but sure will taste good! I actually don’t mind a good quality organic or European butter made from cows without hormones. It’s way easier on my stomach than other types of dairy. You can try another oil, but I’m not sure what would work well other than neutral, vitamin rich coconut oil. Hope this helps! Phoebe! 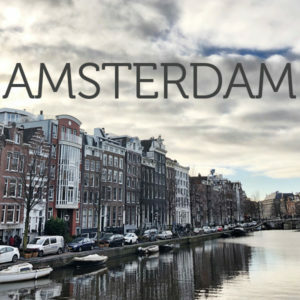 Love your site and will visit often. 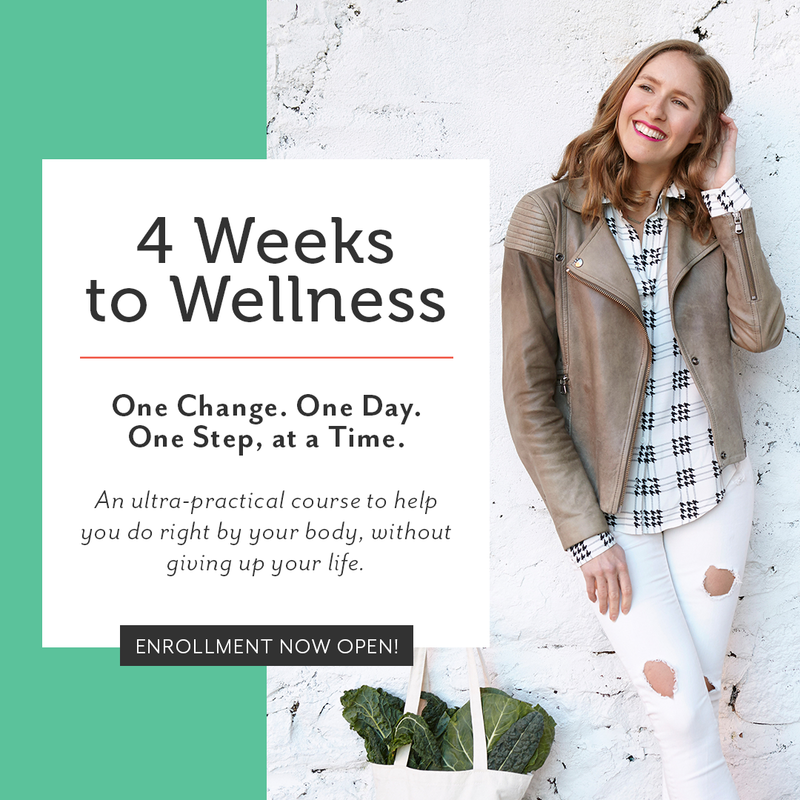 My sister and I started our blogging journey shortly after you did and it’s wonderful to see that you are feeling charged and energized to keep it going – better and healthier. Hope you visit us at http://www.aspireperspirenourish.com as we share much in common. I’d like to make your lemon tart … I have a dairy free relative and 2 gluten free relatives, whom I’m feeding tomorrow. Must one use raw honey? I have Savannah Bee’s Tea Honey, which is a natural light honey — would that work? Thank you in advance for your reply. Yes- any honey will work! Let me know how you like it! Hi! I just made this for hubby’s birthday and it was so yummy! I can’t believe how easy it was, and how healthy it is! And he ate two slices – he who never eats desserts or sweet things! woohoo!! I’m SO glad!! 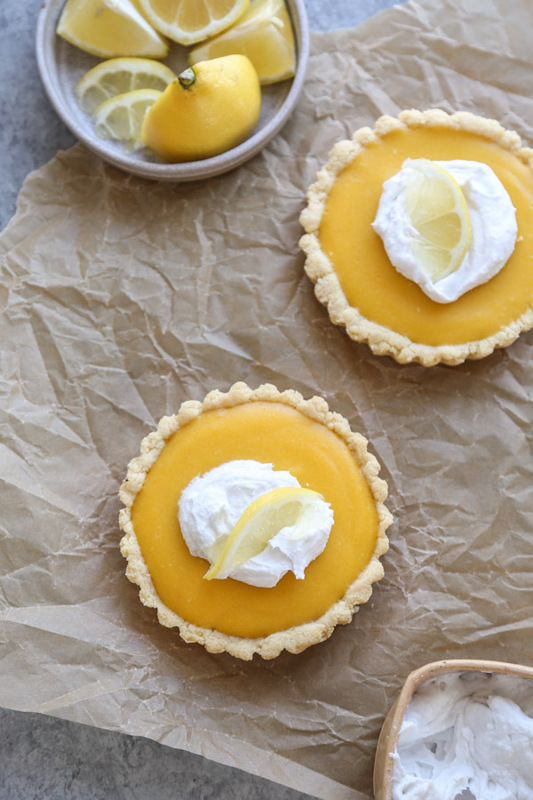 I think the tartness of the lemon is a good gateway dessert for savory food lovers. Thrilled he enjoyed it! I’m looking at trying the lemon curt, great to find one that is dairy free. I was thinking of adding some coconut milk or cream to it, do you think it will make it creamier? What do you recommend? Looking forward to tasting this recipe! Hi Lee, I’m not sure who the coconut cream will affect the texture. It’s amazing how thick and creamy the curd gets just from a little time over the flame. I would maybe try it this way first and then you can decide whether you want to fold in some coconut cream. Let me know how it turns out! Congrats on your 2 years Phoebe! I also stumbled on your site looking for a lemon tart and I’m rapt to have found it! Is there anything I can substitute the almond flour for at all please? Thank you! 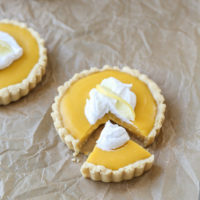 Hello, how far in advance can I make the tart and the filling or the pre-baked or baked tart? You can definitely make a few days in advance. Just make sure to return to room temperature before serving otherwise the crust might be a little too firm. The almond flour doesn’t get flaky in the same way as flour/butter crusts. Hope this helps! Let me know how it goes. I added some vanilla stevia to the crust, and the whole tart was scrumptious! I wa also amazed at how simple and healthy it was. Really hot the spot, and my family loved it. Hi! I was wondering if I could replace the almond flour with coconut flour? Thank you! hmmm I don’t bake enough with coconut flour to know how it will behave in this. But worth a shot? Would there be an easy lemon meringue version of this? If so, how would you change the recipe? Looking forward to making this for my gluten free relatives next week! Hi Nelia! I’m not a big meringue fan, but I imagine you could just add some on top of the lemon mixture? It’s usually just the top layer in a lemon meringue pie. Hope this helps! Can you bake this & then put in the fridge? Wanting to prep in he morning for a night dinner, love this recipe! Definitely! (Sorry for the delayed response!) Just let it come to room temperature an hour before serving. hmmm. I’m not sure June. You could always use butter, but that goes against the healthy dairy-free aspect 🙂 I will say, coconut oil is not overly coconut-y. Especially when combined with other flavors, I hardly notice it. Especially in the curd you won’t be able to taste it. Maybe for the crust try butter or another oil. 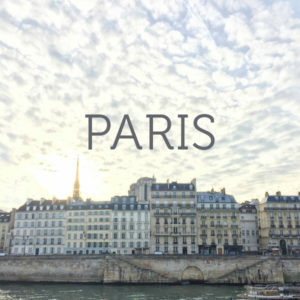 Let me know if you gave it a try! Hey Phoebe is there anyway this would work for tartlets? Hi Pat – definitely! you may just have to feel out the amount of dough to use depending on the size of your mini tins. It’s a press in dough so fairly easy to adjust accordingly. Let me know how it goes! I’d like to make this for a Rosh Hashanah dessert. How far in advance can I make it/keep it refrigerated? Look forward to your reply, and thanks. Sorry for the delayed response! I’ve only kept it for a few days. But others in the comments might have tried it for longer. Only consideration is the crust getting soggy. Another thing you can do is parbake the crust and make the curd. Then wait until the day of to combine them and bake off the crust so it gets crispy again right before. Let me know how it goes! You can’t really sub mint entirely for the citrus, but you could certainly add it! Or make a mint simple syrup I suppose. I think it would be nice with the lemon or lime. The lemon curd was really good! I didn’t have almond flour so I just used a normal crust recipe, but the filling tasted amazing! I have been trying to find healthier ways of baking (since the amount of butter some recipe requires scares me) and this was perfect! How do you come up with this recipe! Do you have any general tips in healthy baking? Do you usually start with modifying other recipe? Thank you so much for sharing the recipe! I’m so glad you like the curd! Yes – I usually use a classic recipe as a jumping off point. Coconut oil is a great swap for butter. I usually find some sort of gluten-free alternative for white flour – almond, brown rice, or another grain flour – and almond milk is a good substitute for regular milk. Check out my other baking recipes in the archives! This recipe looks amazing, and I can’t wait to try. I have a sensitivity to honey though. Any suggestions for substitution? I can do maple syrup, agave, coconut sugar, etc. What do you think might work? Thank you! maple syrup or coconut sugar with for sure work! I don’t Annie, sorry! You can copy and paste it into my fitness pal and they will generate that. there are about 8 slices per tart. This was super good, we finished it in a day and I’m going to make another! I used agave in the filling, and just had the issue of the crust rising a bit in the middle when I baked it, maybe because I didn’t have parchment paper. When I make again, I’ll weigh it down a bit. I also made a coconut whipped cream and once the pie was fully cool I smoothed it right on there and refrigerated again so it gets kind of set. Really cuts the tartness and makes it balanced and perfect. I love making tarts and pies. My favorite is apple, but hey, I think this is my next. Great recipe! Happy Blog-Birthday Phoebe, and thank you very much for the video and recipe. Very happy to see how few ingredients there are. Now I have the feeling that not much can go wrong! Happy blog birthday! I love you!